Call the Internet Department Today! (626) 298-8191. 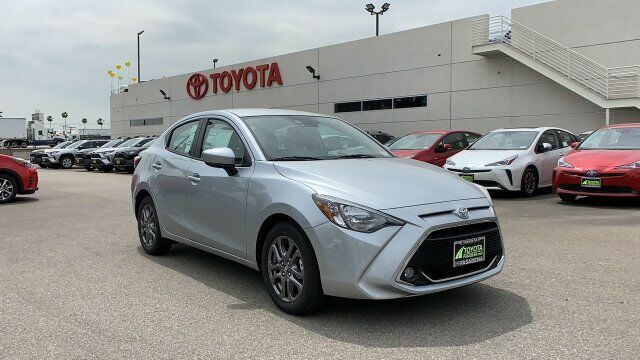 This Chromium 2019 Toyota Yaris LE might be just the sedan for you. We've got it for $18,470. It has great mileage with 32 MPG in the city and 40 MPG on the highway. Flaunting a sharp gray exterior and a blue black interior. Built-in Bluetooth makes it easier to stay connected on the road. Keep the tunes going with features like premium sound system. Come see us today and see this one in person! Contact Information: Toyota of Pasadena, 3600 E. Foothill Blvd, Pasadena, CA, 91107, Phone: (626) 795-9787, E-mail: webleads@toyotapasadena.com.